Each season has its olfactory delights––spring and summer with the wafting scents of flowers, winter with its crisp clean smell––but one of the most delicious is in the woods in autumn. ....the scent in the air is spicy-sweet, a smell particular to fall. As I walk the path, I have the visual beauty of colored leaves above and below, the amazing aroma, and the sound of my feet brushing through the drying leaves; that sound reminds me of a childhood delight: crashing through large piles of fallen leaves in Bokrijk, scattering them, tossing them, a raucous celebration of the season. The special scent of this season's woods will become a memory, as the cold and quiet of winter begins to set in. Pumpkins are finally in season again now in November. The vibrantly colored vegetable not only looks beautiful but is also the perfect ingredient for autumn cooking. Warm pumpkin soup is particularly delicious. It can be prepared in a variety of different ways, from traditional to exotic. 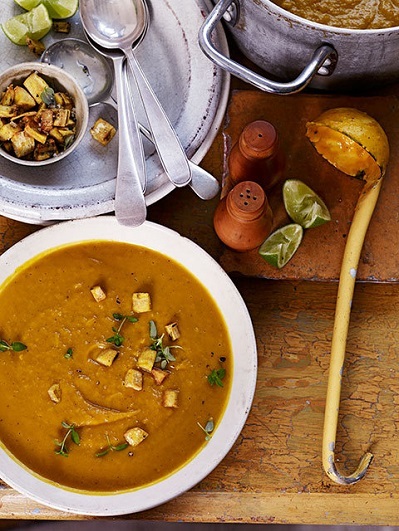 Try our tasty recipe idea for pumpkin soup and enjoy the November cuisine. Oh autumn...the season with the most wonderful palette of colors. Think of an autumn landscape with colored leafs...and get that warm, spicy autumn feelings. Discover these gorgeous colors through our SILIS FW17 collection and prepare yourself for this wonderful season. We love autumn.